Fishing, hunting, hiking, kayaking, and birding. You name it, you can do it in Junction. This captivating hamlet sits among some of the most captivating scenery in the Texas Hill Country, a region known as a veritable hotspot for nature lovers and outdoor adventurers. As such, there’s much to see and experience in this scenic place. Read on to see a few of the things to do in Junction so you don’t miss a thing while you’re here. A slow-flowing river with clear blue water, spectacular limestone cliffs, thickets of oak and pecan trees, and a soothing breeze. This is what you’ll experience kayaking on the Llano River, an immaculate spring-fed river near Junction. Whether you want to get on the water for an hour or an afternoon, there’s enough pace on the river to accommodate you. The Llano River can be accessed from three points: Junction City Park on the east side of town, Flatrock Lane Crossing a few miles to the south west, and South Llano State Park. For the ultimate experience kayaking in Junction, start at South Llano River State Park and paddle up to Junction City Park. This path takes you along more than six miles of river from where you can relax and enjoy the view of the gorgeous Hill Country terrain. Forgot your kayak at home? Don’t worry. There are several Texas river outfitters in Junction that will rent you a kayak, canoe, or inner tube. Not only will they lend you some gear, but some will also drop you off at your desired starting point on the river and pick you up once you’re done. 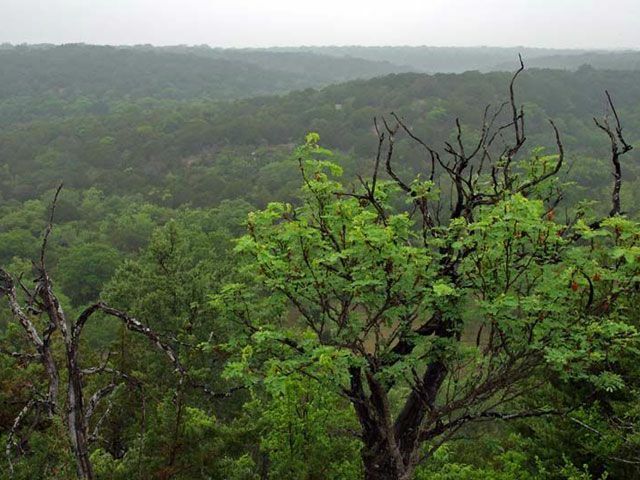 The lush wilderness and diverse environments in South Llano River State Park provide an essential habitat for a wide variety of critters, including more than 150 types of birds. Kayak on the Llano River and you might see green kingfishers, zone-tailed hawks, and black phoebes, and you may encounter the endangered black-capped vireo while you explore the park’s canyons. There are also bird blinds you can hang out in. If you’re patient, you just might see a spotted towhee or the colorful painted bunting. 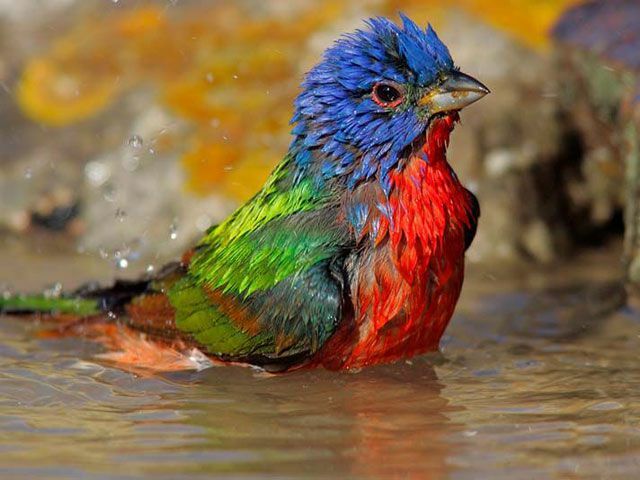 To see these, and many other birds, make sure to visit South Llano River State Park during the spring or the fall, when different birds migrate to the area. While you’re there, don’t miss out on everything else the park has to offer. 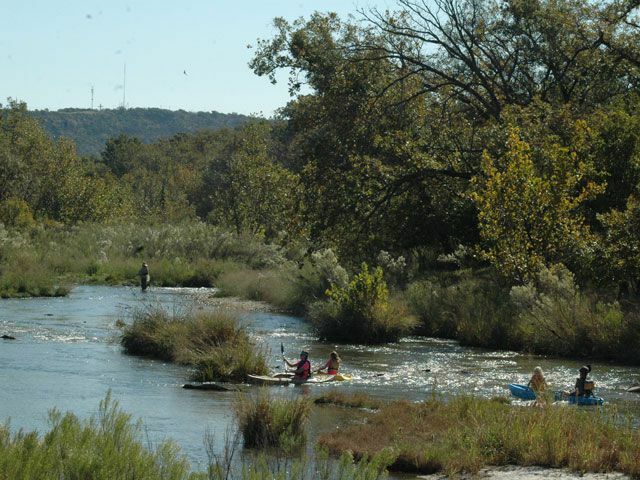 Not only can you paddle along the Llano River, but there are 18 miles of hiking and biking trails to discover, captivating fishing and swimming areas, and camp sites to stay in. Whether or not you’re a birding enthusiast, a trip to South Llano River State Park is a must while you’re in Junction. If traditional golf isn’t your cup of tea, give Junction’s disc golf course a try. 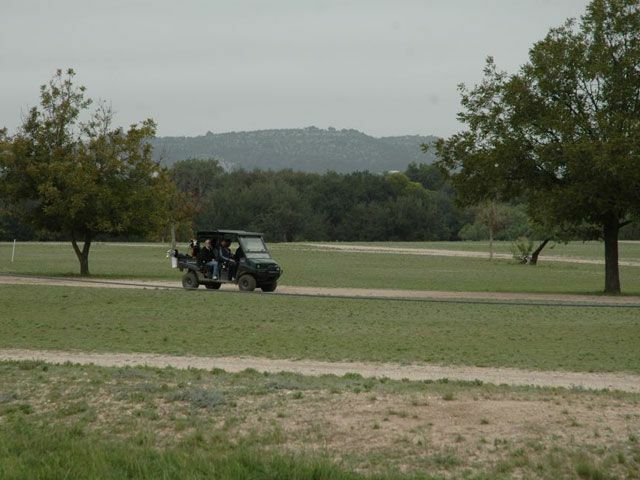 The 18-hole course, nestled on both sides of the Llano River, takes you on a journey through rugged terrain and past large trees that make play a bit more of a challenge. You can drop in to the course at any time, except during the Professional Disc Golf Association tournaments played there in February and July. Regardless of which type golf you prefer, you’ll enjoy a fantastic playing experience in one of the prettiest parts of the Texas Hill Country. Breathtaking views, fields of blooming wildflowers, and winding roads surround Junction, making it a great starting point for some serious scenic driving. It also means that regardless of the direction you head in, you’re likely to find something that’s pleasing to the eye. One option is Loop 481, which takes you past Lover’s Leap (an overlook apparently named for a Native American couple who jumped to their deaths because their tribes forbid their romance) into the hills above town. Travel down FM 2169 West or Flat Rock Lane to enjoy unbeatable views of the Llano River, while U.S. Highway 83 north winds past ranches and fields of blooming flowers. Along with the fantastic scenery, these roads take you to some of the charming towns in the area, like London, Menard, and Roosevelt. If you’re the type of traveler that enjoys getting in your car and exploring, Junction is the place to be. Check out this map of the scenic driving routes in Junction and Kimble County to get your next adventure started. The rolling hills around Junction offer much more than a visual treat. This part of the Lone Star State is home to a staggering array of wildlife, making it one of the best places to hunt in Texas. As such, there are dozens of hunting properties and ranches near Junction where you can hunt for white-tail deer, turkey, dove, quail, and feral hogs. Others, like Whitetail Junction Ranch, afford the chance to hunt exotic game like impalas, sables, and buffalo. These ranches typically offer stays in cottage-like accommodations, meals, and guided hunting excursions as part of an overall package. Hunting in Junction is a year-round thing to do, and the many properties and ranches in the area can provide you the Texas Hill Country hunting experience you’re looking for. Get your rootin’, scootin’, and two-steppin’ self on over to the small town of London to experience a true Texas tradition: country music and dancing. 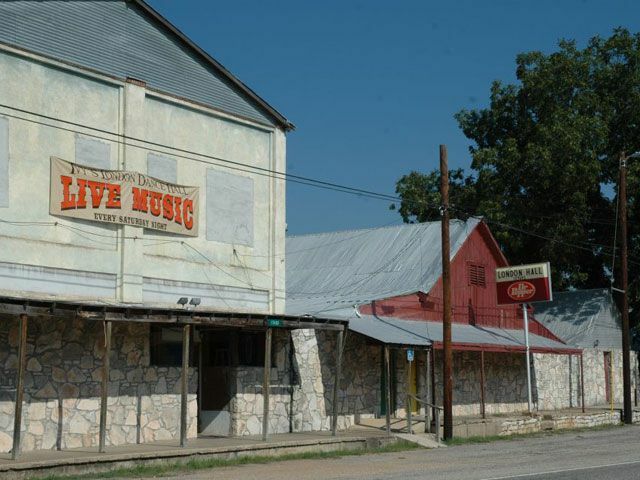 That’s where you’ll find London Hall, one of the oldest dance halls in the Lone Star State. Every Saturday night, London Hall hosts up-and-coming country bands that belt out tunes that will get you dancing. When you need a break from swingin’ your hips and shufflin’ your feet, get a drink at the bar or play a game of billiards. To get to London Hall, simply drive 20 miles north from downtown Junction on Highway 377.